Hey Everybody! For the past couple of Christmases, I’ve always shared my traditional Czech gingerbread cookies with you, and today I’m here to share this year’s! 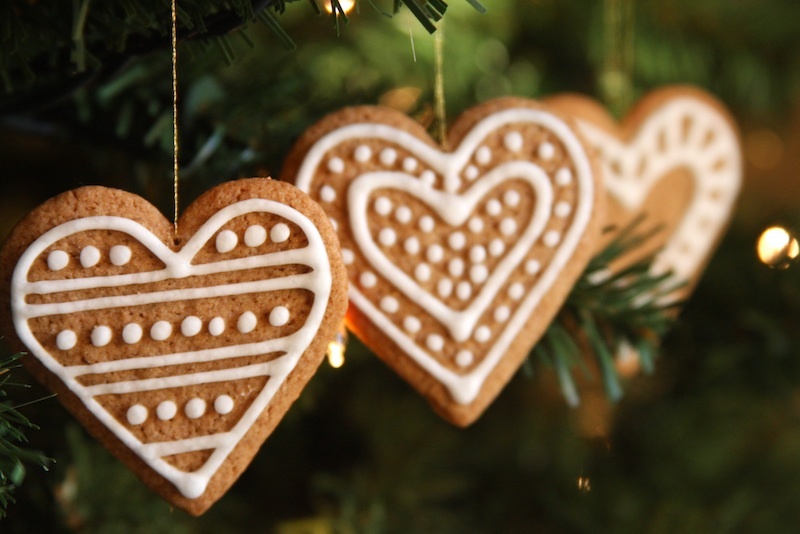 Gingerbread cookies are one of my favorite Christmas traditions, but I don’t actually like to eat them… I make them purely for decorating purposes! I usually arrange them in a big shallow basket lined with greenery that I put on our dining table, but this year, I decided to make ornaments out of them, and decorate one of my little trees with them. To make the cookies into ornaments, you could either make holes at the top before baking (which I find never works well for me and they always seem to close up as the cookies expand when they bake) or you could very carefully make the holes using a needle once the cookies have completely cooled and you’ve decorated them (this is the way that I do it, it’s best to make the holes a day or two after baking and decorating so they’ve had time to sit out – I don’t store them in an airtight container since they are for decoration only). And I’ll let you in on a little secret… I used to make the cookies from scratch, but since we never eat them, I just use a store-bought cookie mix for them now. 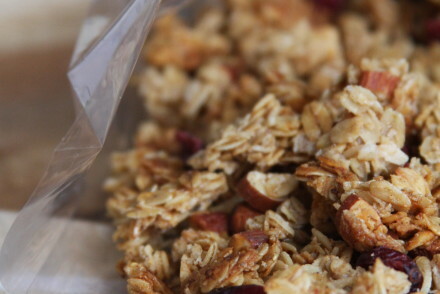 They smell just as delicious, and you save yourself a little bit of time! If you’re interested in saving yourself some more time and still want that person touch, my friend recommended Personalized Ornaments. They look so fantastic and still have that personal touch. Lots of these gingerbread cookies are sold at the Christmas markets back at home in Prague. They are usually intricately decorated (my decorating skills have a looooong way to go!) and iced with different colors. I always miss the Christmas markets whenever we don’t go home for Christmas, because they are so fun to wander through; there are lots of stalls selling beautiful handmade Christmas ornaments and traditional gifts, lots of cookies and treats and holiday foods (which are the best part), all under the glow of a big Christmas tree! There are Christmas carols playing, people shopping and eating, and it always feels like a magical Christmas Wonderland! I can just smell it all now…. the spicy scent of all the cookies, the holiday drinks, the ham, sausages and slowly roasted pig… smells like Christmas! And if you want to see some more gingerbread goodies, HERE are my cookies from a couple of years ago (left) and HERE are my (non-edible!) 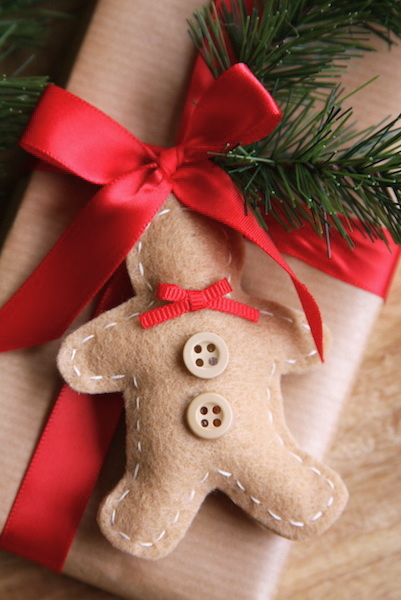 felt gingerbread man ornaments & gift tags (right)! Happy Baking and Decorating, Everyone! 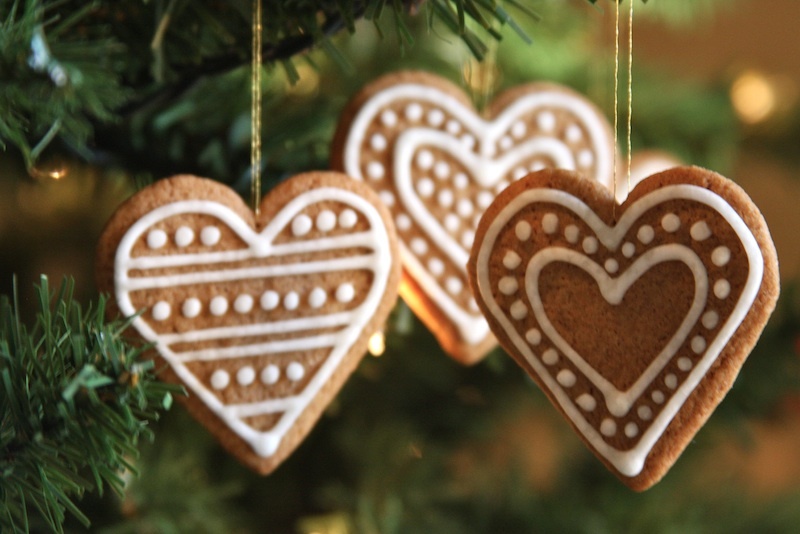 Your cookies (and all of your gingerbread creations) are beautiful and just “scream” Christmas! Thank you so much, Darlene! My decorating skills are nowhere near my mom’s or what my grandmother’s used to be, but they seem to get a little better with practice each year 🙂 It’s a fun little tradition. I hope you have a most wonderful Christmas season this year! Absolutely amazing Christmas ornaments! Everything is so beautiful. 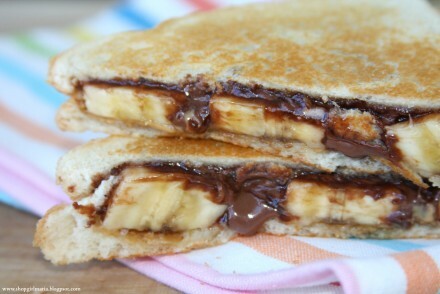 These are absolutely perfect!! Love the photos! Wow – the icing on these is superb. You must have a steady hand! Any tips on how to get it looking so perfect?Visiting from Two Cup Tuesdays! Ohhh thank you so much, Heather! 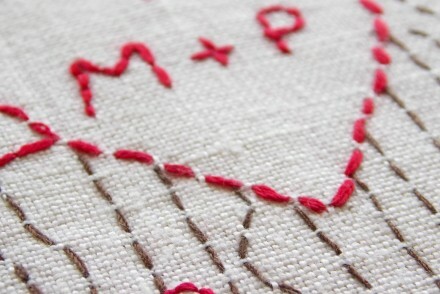 Your blog is amazingly beautiful! I am in awe of your icing skills! Stunning! You just gained a new follower on all your social media! Thank you so much for the sweet comment, Chandra! I’m going to go over to visit your blog 🙂 Thanks so much for stopping by, I hope you have a wonderful Christmas season! 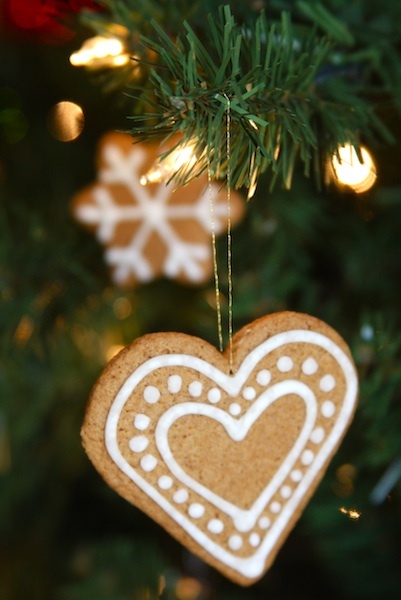 I think your decorated gingerbread ornaments are amazingly beautiful! 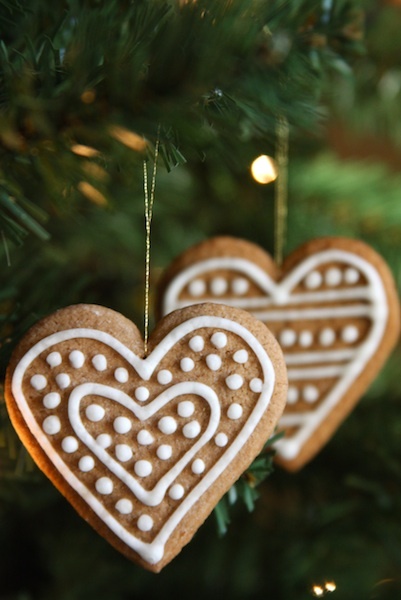 I do like the taste of gingerbread cookies but I don’t think I could decorate them as sweet as you have! Thank you so much! I love decorating gingerbread cookies, it’s one of my favorite Christmas traditions 🙂 I hope you’ve had a wonderful December so far! 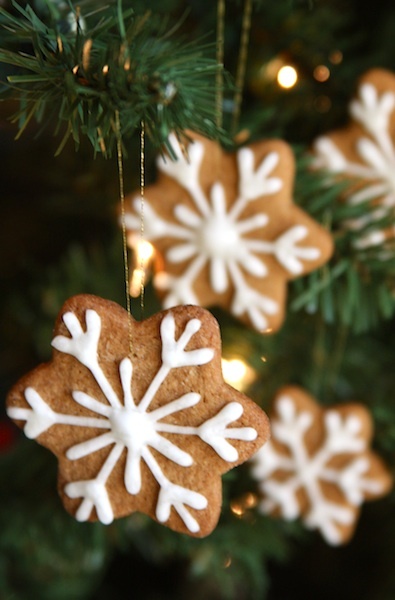 These cookies not only loo delicious…they look so cute for a tree! What a great idea…thanks for sharing! I used to hate eating any kind of Ginger cookie, but have grown fond of it recently! 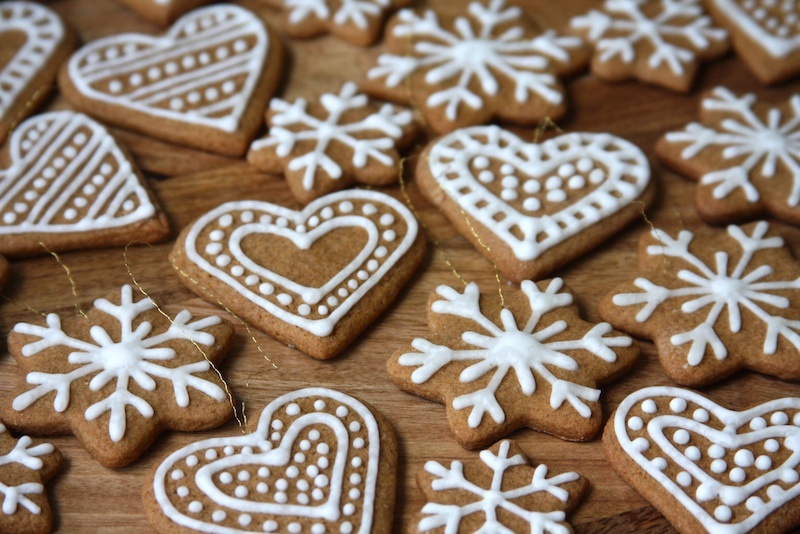 I am making my first gingerbread cookies this year and this is such a great idea! I am going to make a few as ornaments for the tree for sure! 🙂 Thank you for sharing! Happy FF! These ornaments are so pretty! You do really nice work! I would love if you would drop by and share this at Celebrate It! It is my blog party where we celebrate our wonderful everyday lives! 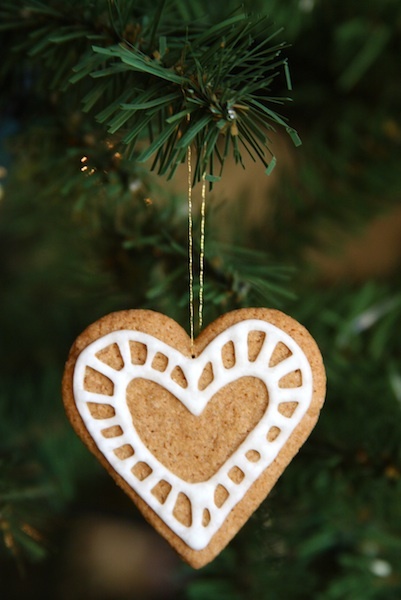 I love these gingerbread ornaments!! Perfect!! They look beautiful and perfect for the woodland/ country decorating that is so popular this year! !